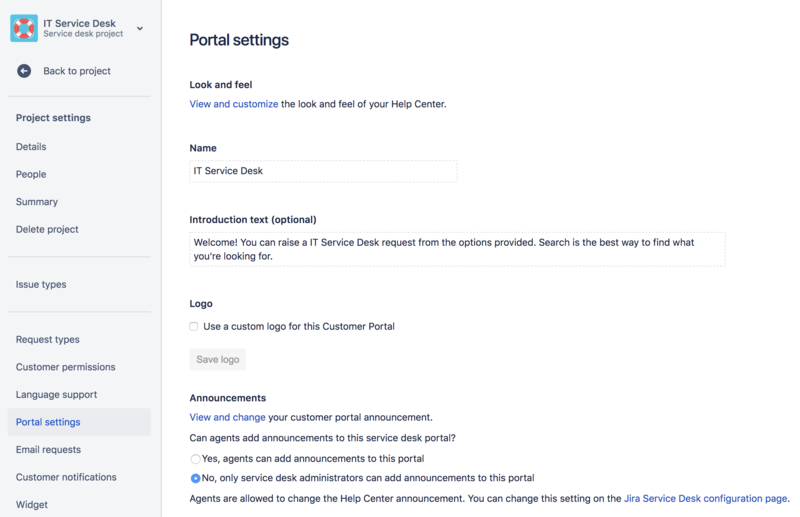 Customers send and track requests through the customer portal—your service desk's customer-facing site. If your service desk has a knowledge base, customers can also self-service requests by searching for articles. 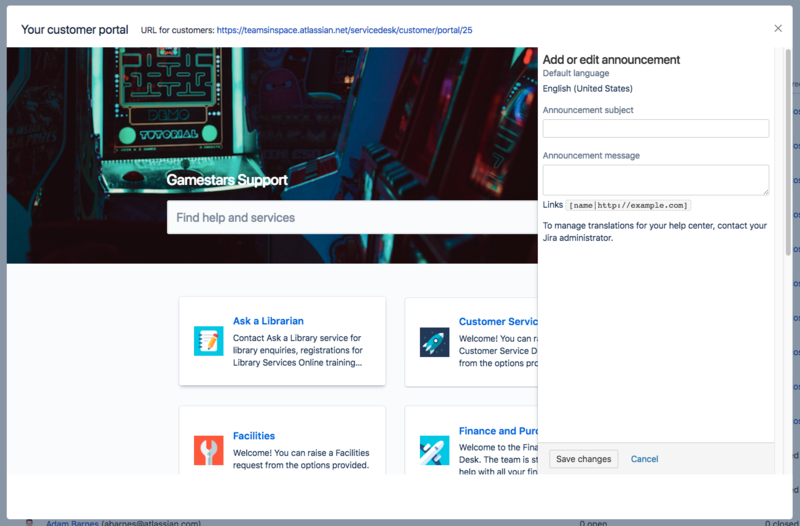 You must be a project administrator to customize what customers can do in the portal, and change the look and feel of it. To access your customer portal, click Customer Channels in the project sidebar. As a project adminstrator, you can change the customer portal name, welcome message, and logo to reflect your company's brand. The header, link, and button colors are inherited from the help center. 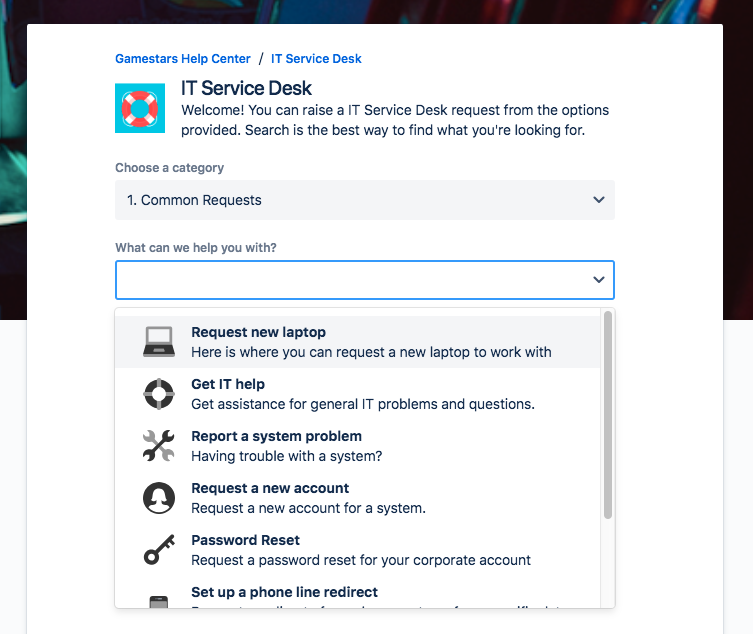 Learn how to customize the help center. 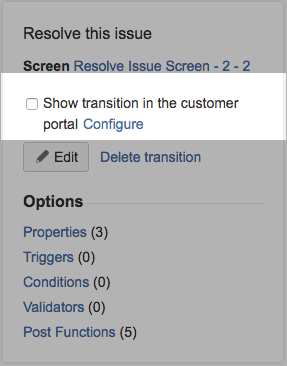 From your service desk project, select Project settings ( ) > Portal Settings. Edit the Name, Introduction text and Logo fields as needed. The recommended banner size for your customer portal is 1680x360. Your logo also appears in notifications sent by your service desk. Read more about customer notifications. 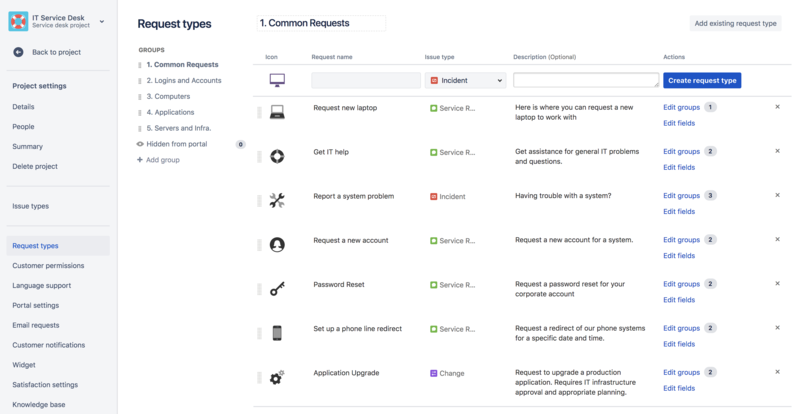 You can customize the types of requests that customers raise from the portal. To create and manage request types, go to Project settings > Request types. To learn more about customizing request types, check out Configuring request types and workflows. You must be a project administrator to add transitions. Choose Yes, agents can add announcements to this portal under Announcements. Complete the Subject and Message fields in the Announcement section. From your service desk project, go to Channels. Click the help center name or logo in the top left.